List Rules Vote up the people, places, things, ideas, memes, and other ~stuff~ that is most defining 2019. What 2019 news, culture, films, memes, and people in general are making headlines and appearing all over whatever feeds you rely on for up to date info? To help catalog the year, here are 2019's trending topics, from the biggest news stories to the most popular trends. Some of them directly tie into 2018's most common topics, but 2019 is already making itself stand out in increasingly new and innovative ways. There's a Royal baby on the way, but will Meghan and Harry break protocol in some way during the birth?! Will millennials kill Facebook at last? Will people care about yet another Avengers film? Will Bird Box still be a thing come summer? From the top trending topics in the world, to notable memes, this is everything that went viral in 2019. What were the biggest and most famous topics in 2019? Which 2019 cultural events had the biggest impact? What happened in 2019 and left a mark? Which of these things did your mom ask you to explain? Vote up the stuff that most represents 2019 to you. And if you want a month-by-month breakdown, check out the trending topics of January, February, March, and April 2019. On March 15, a white supremacist terrorist live-streamed two shootings at the Al Noor Mosque and the Lindwood Islamic Center in Christchurch, New Zealand. He killed 50 people. The act added fuel to the continuous debate on gun control. The HBO cultural force is underway. What's happened so far? What will happen next? Is Bran a man or a bird? Who will ultimately sit on the Iron Throne? The 2018 Netflix film inspired countless 2019 memes and led to a social media challenge in which participants had to go about their regular days blindfolded. Even Netflix said, "please stop." A partial government shutdown spanned the last weeks of 2018, into 2019, the result of disagreements between President Trump and the Democratic Party over funding for a border wall. On March 8, Brie Larson made her MCU debut as Carol Danvers in Captain Marvel. Experts estimated that the film would make $350 million globally during its opening weekend. On March 10, Ethopian Airlines flight 302 crashed after takeoff, killing all 157 of its passengers. Less than six months prior, another Boeing 737 Max crashed and killed all 189 of its passengers. Countries and airlines quickly grounded the model. On March 12, Felicity Huffman and Lori Loughlin were arrested for allegedly bribing college officials and athletic heads to get their children into some of the country's most elite universities. The revelation sparked outrage and reignited the debate surrounding the exclusivity of higher education. Pop superstar Ariana Grande made fans' year when she released thank u, next, her fifth studio album. The album came only six months after her album Sweetener - and just months after her very public breakup with SNL star Pete Davidson. On April 10, the Event Horizon Telescope captured the first photo of a black hole ever. The photo looks just as Albert Einstein's general theory of relativity would suggest, as spacetime is warped by the black hole's substantial mass. 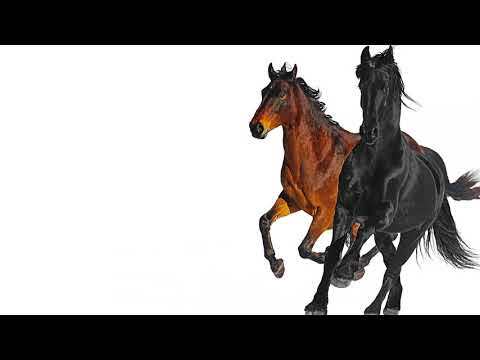 Even though Lil Nas X ran into some criticism from 'real' country fans, there is no denying the infectiousness of his country-trap jam "Old Town Road" featuring Billy Ray Cyrus. We got the horses in the back. HBO released the two-part documentary on March 3, 2019. The Jackson estate decided to sue HBO for potentially $100 million, calling the documentary a "public lynching" of the pop superstar. Lifelong fans, including celebrities like Oprah, had visceral reactions to the heartbreaking documentary. After Lifetime aired the six-part docuseries Surviving R. Kelly - which featured women who alleged Kelly violated them, many at a young age - more and more folks protested Kelly's music and urged others to do the same. Spotify introduced the mute option. Sony/RCA dropped him. On March 22, Robert Mueller completed his two-year investigation into President Trump and any possible collusion with Russia to influence the 2016 election. Mueller did not find any proof of collusion, but Attorney General William Barr noted that it "did not exonerate [Trump]" on obstruction. The saga continued on April 3 after the House Judiciary Committee authorized the use of a subpeona to get the unredacted report. America sparked lots of joy with organizational expert Marie Kondo on Netflix. Consignment shops and charities quickly started receiving record donations as fans of Kondo decluttered their own homes. Tidying Up with Marie Kondo (Netflix, 2019) is a web television series created by Marie Kondo. Marie Kondo offers tips on the art of keeping your home and workspace tidy and organized. On February 22, 2019, New England Patriots owner Robert Kraft was charged with two counts of soliciting prostitution at a spa in Jupiter, Florida. After a wide investigation, a sting operation had more than 25 men charged with similar crimes. Hundreds of other people across the state are also faces charges for their involvement. When President Trump and Democrats were unable to reach an agreement regarding funding for President Trump's long-promised border wall, he declared a National Emergency. People had feelings. Strong ones. On April 15, a fire started in the attic of the Notre Dame Cathedral in Paris, France. The blaze quickly spread throughout the iconic structure. The fire was put out nine hours after it started, just after the cathedral's spire completely burned and collapsed. Authorities opened an investigation, as the cause of the fire is unknown. On January 29, Smollett reported that he was the victim of a hate crime. Less than a month later, he was arrested for allegedly filing a false police report and playing a part in staging his own attack. Easily one of the best duos of 2019, Lady Gaga and Bradley Cooper sparked romance rumors after their sultry performance at the Oscars. Lady Gaga has repeatedly stated that the two are simply working together, and the chemistry audiences see is exactly what they aimed for. Streaming services Netflix and Hulu each put out their own documentary on the failed music festival. Hulu surprise-dropped their doc a few days earlier than Netflix, but that didn't stop people from watching both. At the end of January 2019, the Midwest got hit with record-setting low temperatures. Places like Fargo, ND, hit temperatures of negative 31 degrees Fahrenheit, while Chicago got hit with negative 20 degrees and frostbite-inducing winds. It was, to put lightly, dumb cold. Whether you like it or not, Saturday Night Live actor Pete Davidson is here to stay in the tabloid cycle. After his relationship with Ariana Grande in 2018, Davidson started seeing Kate Beckinsale, who is 20 years his senior. During a New Year's Eve broadcast, Teigen bounced her face and eyeball off of Jones's umbrella. She was fine.